To download publications visit my page on academia.edu. I am an Associate Professor in the Institute of the Environment and Sustainability at Western Michigan University (Kalamazoo, MI) and a Senior Fellow in the Bill Graham Centre for Contemporary International History at the University of Toronto. Previously I was a Fulbright Visiting Research Chair in Canadian Studies at Michigan State University, a Banting Postdoctoral Fellow at Michigan Tech University, and a Visiting Scholar in the School of Canadian Studies at Carleton University. I received a Ph.D. from the University of Ottawa. My work focuses on border waters in the Great Lakes-St. Lawrence basin. My works looks at Canadian and American environmental, transnational/borderlands, environmental diplomacy, energy, and technology issues, focusing in particular on the history of US-Canada border waters in the Great Lakes-St. Lawrence basin. I am an environmental historian, but my work tends to cross both interdisciplinary and political boundaries (e.g., political science, political ecology, IR, historical geography, etc.). I engage current policy issues with some of my publications and teaching, and I have also served as an expert witness or consultant for the Canadian federal government. I am the author or co-editor of two published books and two forthcoming books. 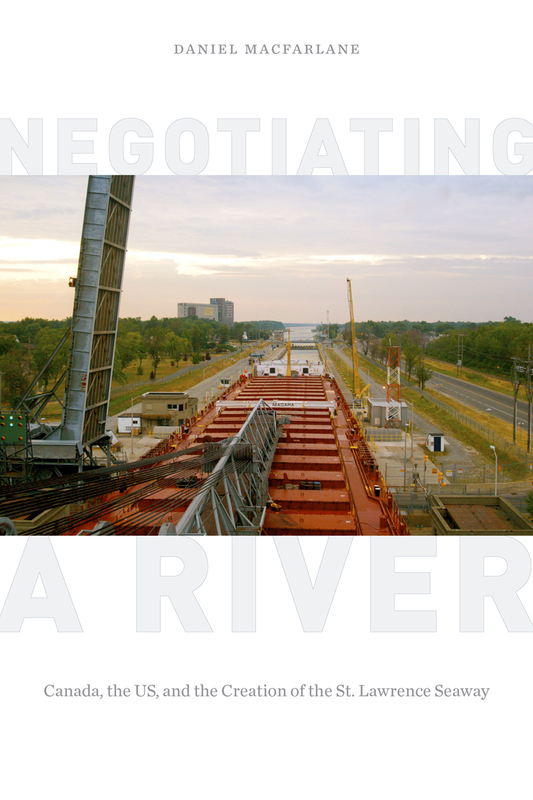 My 2014 book on the binational creation of the St. Lawrence Seaway and Power Project, titled Negotiating a River: Canada, the U.S., and the Creation of the St. Lawrence Seaway (UBC Press, 2014) won the Champlain Society’s Chalmers Prize for Ontario History (click here to order). I co-edited (with Lynne Heasley) and contributed to Border Flows: A Century of the Canadian-American Water Relationship (University of Calgary Press, 2016), which is available as an Open Access publication. I am currently completing a book that delves into the transnational history of landscape, engineering, and hydro-electricity at Niagara Falls (for a sneak peek of this research, see my 2013 article in Environmental History) that I’m tentatively titling Fixing Niagara Falls: Environment, Energy, and Engineers at a Famous Border Waterscape (forthcoming in late 2019 or 2020). I co-edited (with Murray Clamen) and contributed to a collection on the history of the Boundary Waters Treaty and the International Joint Commission, titled The First Century of the International Joint Commission, which will be published in late 2019. I have been working on the history of Great Lakes governance, studying the history of water levels in particular, which includes diversions and engineering works as well as scientific conceptions of natural causes (e.g., earth tilt, climate change, glacial rebound). Other projects include a survey history of Canadian-American environmental relations based on a course I developed, looking at the history of controlling ice in the GL-StL basin, and comparative research on Mexico-US and Canada-US border water governance and history. I’ve recently started work on a book about the transnational environmental history of Lake Ontario, which will be written with Colin Duncan. 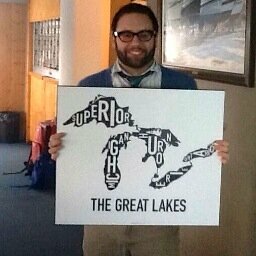 In the really long run I’d love to try writing an environmental history of the Great Lakes). A transborder history of the Ottawa River is something else I’ve dabbled in, and might pick up again at a later point. I utilize digital humanities, such as GIS mapping. and have co-authored several different print and online efforts showing how historians and other scholars can make use of digital techniques, including an online textbook (co-authored with Josh MacFadyen and Jim Clifford) The Geospatial Historian. I serve as one of the editors for The Otter, the NiCHE (Network in Canadian History and Environment) group blog, and am a member of the NiCHE Executive. I have contributed as a guest blogger to a variety of other sites. I am currently Vice President of the International Water History Association (IWHA). My writing and research has appeared in, or been featured in, publications such as The Washington Post, Slate, The Globe and Mail, Huffington Post, Maclean’s, Toronto Star, Ottawa Citizen, Buffalo News, and The National Post. I have a photography and film background, some of which you can see on this site. I hope all is going well for you and your family! I’m not quite sure how to reach you, but a google search brought this site up. Bob asked me to send you your course evaluations from the fall. Can you send me a mailing address? Keep up the good work, Daniel. Congratulations again on a well-deserved posting at Western Michigan U! Hi Dan, I am in the process of building an internet hub focusing on history and tourism for cornwall ontario, I would like to talk to about using a couple of pictures. In exchange for links to this article.